With the worldwide wave of hate and intolerance and the devastation left behind in Haiti and the Dominican Republic by Hurricane Matthew weighing on my mind, I celebrated the High Holy Days with a renewed commitment to tikkun olam. 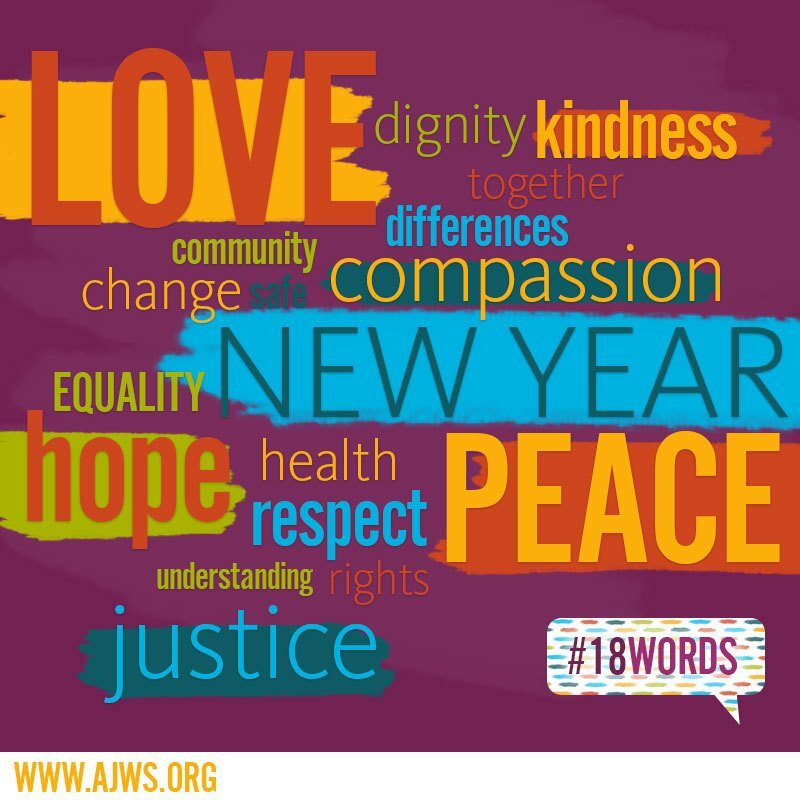 To reflect on the year ahead, I read through the hundreds of contributions to #18Words, AJWS’s campaign to inspire hope in the new year. I was blown away by the optimism, passion, and visionary commitments that people all over the world shared with us. From celebrities like Mandy Patinkin and Mayim Bialik, to respected Jewish thought leaders like Rabbi Sharon Brous and Rabbi David Ellenson, the response we received was overwhelming. Even a fourth grade class in Atlanta contributed to #18Words as a class project! The word cloud below gives you a powerful sense of what people are hoping for in the New Year. You can also click through the slide of photo submissions from celebrities, member of AJWS’s Leadership Council in Chicago, and others. To view all #18Words from around the world, click through our interactive map. It would be easy to become discouraged by the rising voices of intolerance, hate, and xenophobia. But we can be inspired by the myriad words of hope from our global community. Together, I know we will build a better world—today, tomorrow, and for generations to come.